Get Clear and Go Green! Getting rid of stuff that no longer serves a purpose is only one part of having a clear place. Another, equally important part, is being mindful about your purchases. I love finding fun and useful items that are eco friendly and multi-purpose. A few weeks ago, I discovered a place that is clearly a wonderful resource for just those kinds of things! In Corvalis, Oregon … who knew? 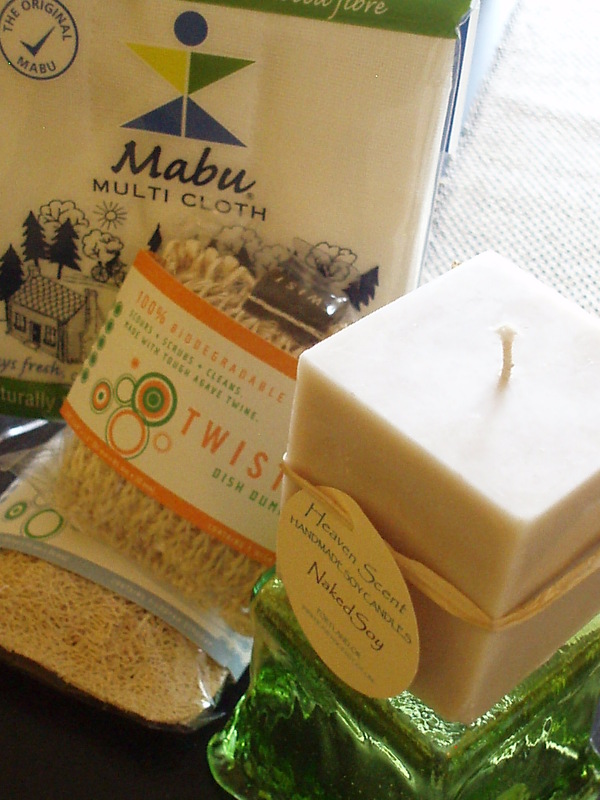 Dish Dumpling scrubbies made with agave twine, cleaning cloths woven with wood fiber, pure soy candles, clay colors for wall paint, barn wood furniture and SO much more. Eco friendly and friendly folks – my favorite combination. Read more about the Earth Smart Store here. Previous Article Spring Is Here! Next Article Library Workshops Great Success!